Traditionally clients who wanted to generate their own electrical power on-site had to rely on a diesel-powered generator. This could be run in Prime mode where the generator provided a continuous source of power and made the site grid-independent (Off-Grid) or Standby mode where the generating set provided backup power as a secondary source to that from the National Grid. The electrical grid in the UK was historically designed to distribute power to users generated from a small number of power stations, supplemented with imports through underground DC (direct current) links from Europe. All this changed with the birth of the renewables industry. Today users can generate electrical power from a range of on-site renewable power sources including Solar PV, wind turbines, fuel cells and Biomass systems. The typical configuration of such systems is to use some of the power on-site and/or to export excess or all of the power generated to the National Grid to benefit from Feed-In-Tariffs (FITs). The problem for the National Grid is that the electricity network (grid) itself was never designed for the high number of multiple electricity injection points that exist today; whose number continues to rise. This has lead to an increase in power quality and stability problems across the grid. Electrical power generated by any on-site generation system (embedded generator) has to be formally connected to the National Grid to be exported. This connection is governed by Engineering Recommendation G59/2-1 – Recommendations for the connection of generating plant to the Distribution System of Licensed Distribution Network Operators (DNOs), published by the Energy Networks Association. G59/2-1 governs the connection of any form of device that is to run ‘in parallel’ or be synchronised with the National Grid supply and generates more than 16A per phase (3.68kW per phase). For systems less than 16A per phase, Engineering Recommendation G83/2 (from 1st March 2014) applies. It is far easier to connect systems below 16A to the National Grid. Generally connection can be made provided the inverter system manufacturer can provide the installer with a G83 compliance certificate. This is then submitted to the DNO along with a Commissioning Confirmation Form and operational diagram within 28 days of connection. The DNO will then either accept or reject the installation. Some DNOs stipulate that the installer must not have completed (or plan to install) any other embedded generator installations within a geographic region (typically 500m) of the new installation within the 28 day period. The National Grid has to manage all connection points to the electrical supply network in terms of health & safety, grid reliability (power cuts, resilience, demand-supply matching) and power quality (voltage sags, surges, harmonics, phase shift, frequency). All connections to the National Grid have to be applied for, tested and certified by the relevant local District Network Operator (DNO). It is the responsibility of the DNO to ensure that the on-site generating system is configured to operate correctly, will not introduce electrical problems into the grid nor lead to a health & safety incident. The recent floods and power cuts provide an example of the need for controlled and approved connections. With utility companies sending out engineers to repair cables and pylons, work can only be carried out safely after an assessment of any local embedded generators operating within a specific area. The local electricity grid may be isolated at the nearest transformer substation (to allow safe repairs and working) but there could be the potential for a local embedded generator to start-up and feed electricity into the same circuit the utility engineers are working to repair. The problem of live cables within flooded areas also compounds this issue. G59/2-1 approved installations include a G59 Mains Protection Relay. This sits between the embedded generator and the grid. A solar PV installation, for example, this will consist of a solar PV array, a DC/AC solar inverter, electrical isolators and switchgear, and a G59 relay. The G59 relay monitors the quality and stability of the mains electricity in much the same way as the solar inverter system within the installation does. 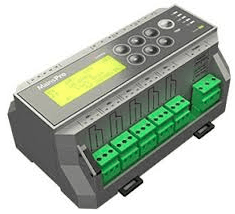 If the mains power supply fluctuates outside any of the pre-set operating parameters, the relay will cause a protective device such as a locally installed MCCB or other type of breaker to open (de-energise a contactor), and disconnect the solar PV system from the grid. This electrical configuration can apply to any embedded generator including: solar PV, wind power, diesel generator and so on. G59/2-1 stipulates the settings the relay must be programmed to but each DNO may also have their own additional requirements covering: voltage, frequency, ROCOF (rate of change) and phase angles. An embedded generator cannot be fully commissioned without formal acceptance by a representative from the local DNO. They provide the actual certification required for the system to be declared authorised and approved. The actual commissioning process can be a multi-stage affair covering inspection and testing of the complete embedded generator installation. The procedure can last one to two days; with day one covering preliminary tests and day two formal witness testing with a representative from the DNO and site client. To commission the G59 configuration specialist test and measurement devices are connected. Grid faults and variations in voltage and frequency are injected into a connected test line and responses made by the G59 relay recorded (alongside relevant electrical voltage, frequency and response time values). These tests ensure that the G59 relay is programmed correctly to identify faults and respond accordingly. The tests themselves may be repeated a number of times depending on whether the system is a single-phase or three-phase system but normally start with voltage-related tests before moving onto frequency and finally a phase-angle test. Once approved by the DNO the system can be considered operational. When a G59 relay de-energises and leads to disconnection from the local grid, the embedded generator must normally be configured to shutdown. In the case of a solar PV installation this means that even during daylight hours, the solar inverter must automatically shutdown if there is no local grid connection available i.e. a complete mains power failure. This is to prevent ‘islanding’ whereby the solar system (embedded generator) continues to generate and supply power to the local electricity grid. This can be dangerous for utility engineers who may be working nearby and it may prevent reconnection of local devices when the mains power stabilisers or is restored. Solar PV inverters therefore include ‘anti-islanding’ circuitry to prevent this. However, ‘Intentional Islanding’ may be allowed in some circumstances whereby the embedded generator continues to operate as a back-up power system. The system is then considered to provide ‘Off-Grid’ or ‘Off-The-Grid’ type independence for the client but this type of configuration may not be approved by the relevant DNO. Most Off-The-Grid renewable power systems include some form of energy storage in the way of batteries. When the mains power fails the system provides a back-up power solution from the battery set. During normal operation these are charged during ‘normal operation’ by the renewable power system. This type of arrangement is very popular in remote areas and/or areas with a less controlled form of electrical grid connection. The configuration could lead to an energy revolution in the Europe but is not proving popular with utility companies who have a vested interest in preventing local on-site energy storage when power is available from their own grid connections.